The "to do" list ("to write," to be more precise) keeps growing longer and more intimidating. In the interest of paring it down, let me try to catch up on some of our latest excursions. In the summer, we tend to head north in the interest of finding cooler climes than our ninety degree, ninety percent humidity weather here in Miami. This July included a long weekend in Toronto, which will be the subject of another report (the twitter version: a fun place to visit and a fun place to eat). August found us first in Boston, from where we headed up the coast to Maine, then across the border to Quebec City before wrapping up in Montreal. 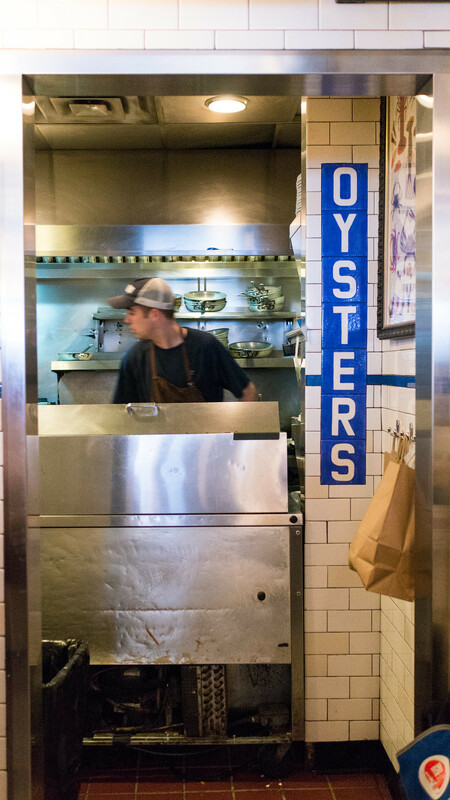 Our Boston visit started with a place that's been open just shy of ten years, and has all the feel of a classic: Neptune Oyster Bar. We had fortuitous timing, squeezing in to seats at the end of the counter before the lines started to form for lunch (the tiny spot has only a couple dozen seats at tables plus another fifteen at the bar). (You can see all my pictures in this Neptune Oyster Bar flickr set). I can see why they're lining up. The oysters, with a choice from among a dozen primarily east coast varieties, were excellent. 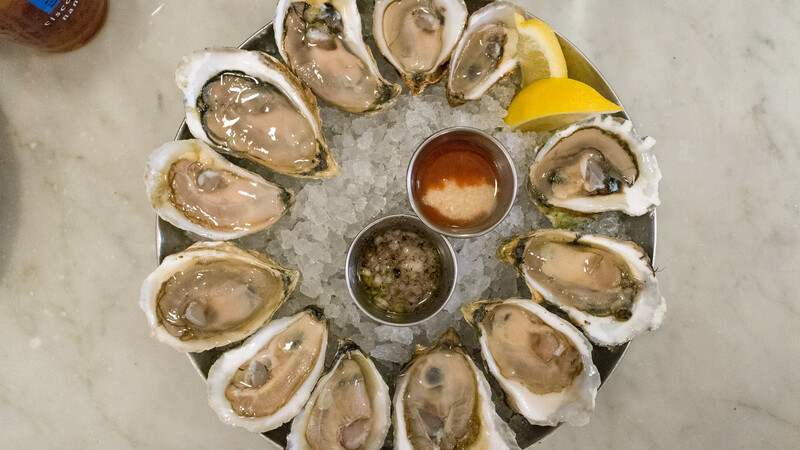 This particular dozen included, working clockwise from the lemon wedges, Wellfleet, Island Creek and Bee's River from Massachusetts, Browne's Point and Pemaquid from Maine, and Beausoleil from New Brunswick Canada. But the oysters aren't the only draw here. 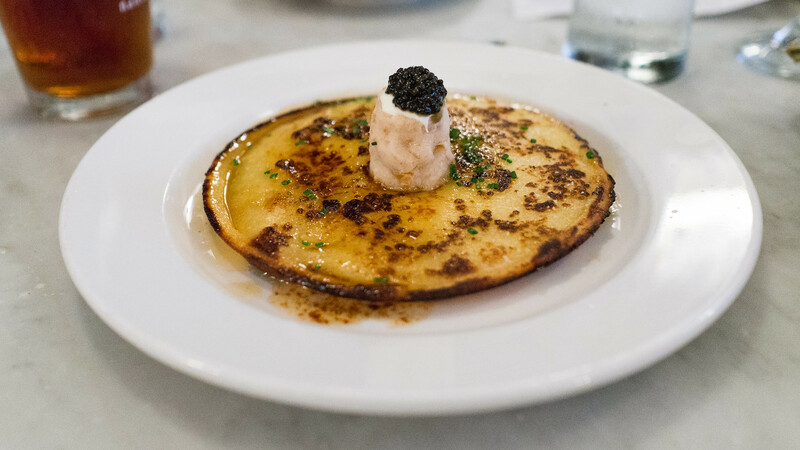 This buttermilk johnnycake, topped with a mound of smoked trout tartare wearing a sturgeon caviar hat, then doused in melted honey butter, was a fascinating mix of earthy, smokey, fishy, salty and sweet flavors. I would have never guessed that the savory/sweet sausage/pancake breakfast type thing could be taken in an aquatic direction, but this worked. 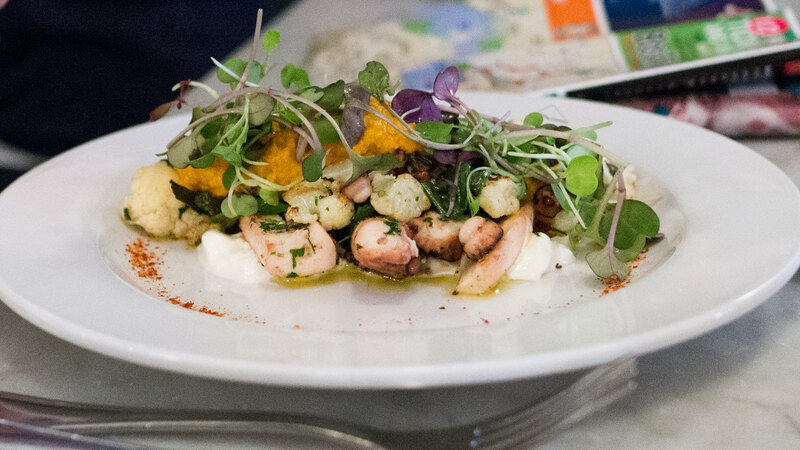 A Spanish-inspired grilled octopus salad, with crisp browned nubs of roasted cauliflower and a ruddy orange romesco sauce, was another good combination, light but hearty and full-flavored. I was surprised that the lobster roll was actually a bit of a letdown. We went cold with mayo rather than hot with drawn butter, but I don't think that was the problem – rather, it was the several bits of cartilage that hadn't been removed from the meat. 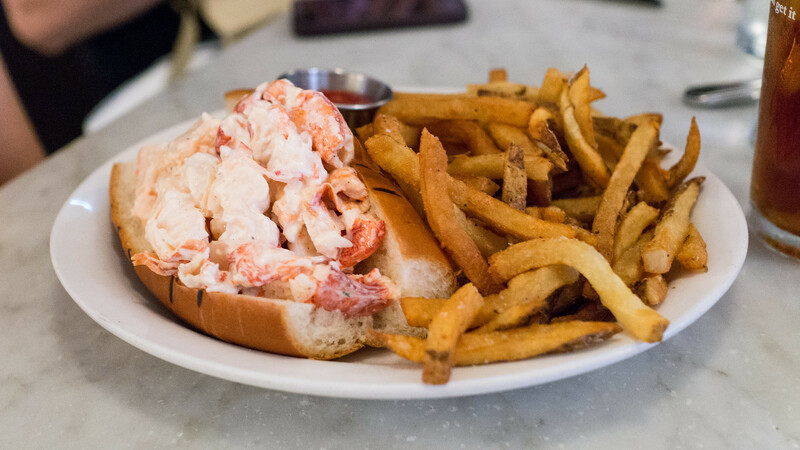 Still, it was a generous, well-stuffed sandwich with fresh, supple lobster (though you'd certainly hope so for $27). This is the kind of place every neighborhood deserves to have. 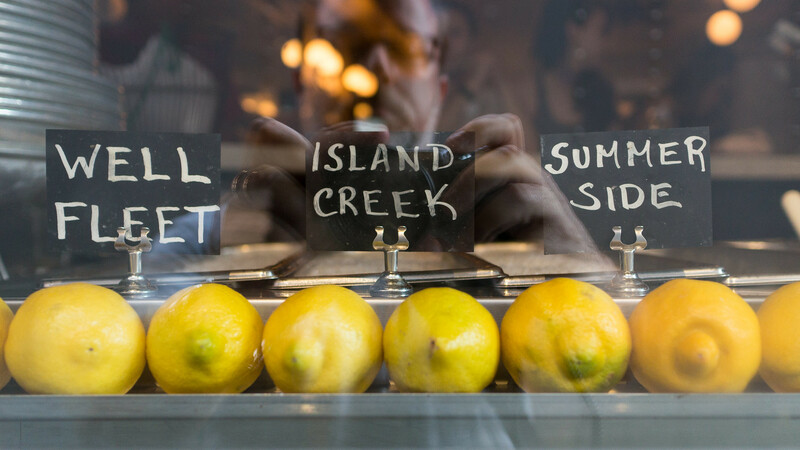 Happily, Miamians now do, thanks to Mignonette, the new Edgewater oyster bar and seafood restaurant from Blue Collar chef/owner Daniel Serfer (about which I will be writing here soon – another one for the "to do" list).